A welcome addition to the already likeable Alfa Romeo Giulia range, the Veloce slots in above the 178bhp 2.2-litre diesel-powered Speciale. Based on the 2.0-litre petrol, Veloce revives a classic Alfa Romeo badge and increases power from 197bhp to a more invigorating 276bhp, with 295lb ft of torque from just 2250rpm. Like all UK Giulias it drives through an eight-speed automatic transmission. For right-hand-drive models it’ll be rear-wheel drive; for the purposes of this initial Italian launch drive we’re in the all-wheel-drive Q4 model which, like the Stelvio, defaults to rear-drive unless conditions demand otherwise. There's little need for that on a baking hot June day in the hills above Lake Como, but with all the class rivals offering all-wheel-drive versions it’s not surprising Alfa Romeo feels the need to compete. Are UK customers missing out? We’ll see, but the 60kg weight saving and small gains in CO2 and fuel consumption will be worth it for many, while purists may appreciate the combination of this more powerful engine and rear-wheel drive. 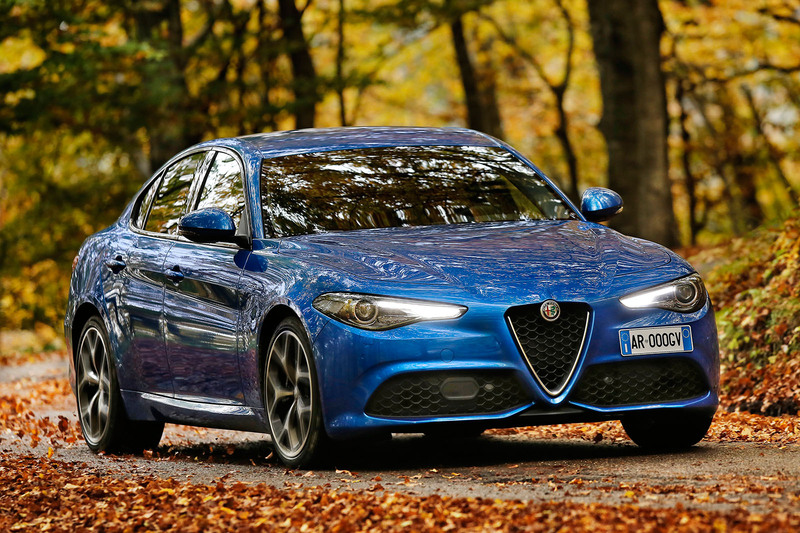 The £37,935 starting price is a little more than the equivalent Jaguar XE R-Sport and BMW 330i M Sport but the Giulia has a welcome on-paper power advantage over both to help sweeten the pill. Standard equipment is decent, too, including an 8.8-inch Alfa Connect infotainment system, parking sensors, dual-zone climate and a full suite of driver aids and alerts. Visually it’s set apart from other Giulias by the Speciale-based bodykit, black-rimmed windows, unique 18-inch ‘Turbine’ wheels and signature Misano Blue paint, the latter a £695 option. Veloce badges on the wings finish the package off, the combined effect unmistakably sporty but restrained and classy. It’ll impress you in the showroom. Can it carry that through to the test drive? Basically a petrol-engined Giulia Speciale with the extra urge you’d want to deliver on the sporty looks. This, you’ll correctly guess, is a good thing. Those expecting a dose of Quadrifoglio-style attitude at a more affordable price may be left wanting but it remains a big step from the 276bhp Veloce to the 503bhp performance flagship. The Veloce narrows the gap a little though and feels usefully more muscular than the 197bhp version. The engine isn’t the most refined though, being a little clattery around town and sounding surprisingly diesel-like when the stop-start cuts in. The power delivery is very boosty, too, despite the impressive low-down torque. It’s not lag as such, just a very obvious forced-induction feel. Once up to speed, though, the extra mid-range response is most welcome, the Veloce equally satisfying whether you leave the eight-speed auto to its own devices or take control via the aluminium paddles. Optional on lesser Giulias they’re standard on the Veloce and much more exotic than the flimsy plastic paddles seen on rivals such as the Audi A4. Alfa Romeo has done an excellent calibration job with the gearbox and you never really crave a manual, the ability to flick up and down the 'box to tap into the engine’s sweet spot making twisty mountain roads an enjoyably interactive experience. Although we drove the Q4 version its torque-bias gives a good sense of how the rear-driven UK car will handle. Like all Giulias the steering is light, direct and responsive, and in combination with well-judged spring/damper rates it has a great sense of flow. To the extent that the sharper damper setting - dialled in by switching to Dynamic on the three-way DNA switch - really isn’t necessary. Thankfully you can override it and keep the dampers in their softer setting while enjoying the crisper throttle response and gearshifts. Or just not bother with the £1950 Performance Package they’re bundled in with. A satisfying steer on an enjoyable A-road, the Giulia Veloce is also comfortable and refined on the motorway. This is a sporting saloon in the classic mould, with an expertly judged balance between refinement and excitement. Everything you’d hope for in an Alfa Romeo in other words, with few of the excuses required in the past. It’s up against some very, very accomplished products though. And detail weaknesses – not least in the infotainment system and perceived quality of some touchpoints – are not to be dismissed. The Germans do both better. And if we’re nit-picking the engine’s extra power is welcome but it’s not quite the charismatic heart and soul of the car you might have hoped for. 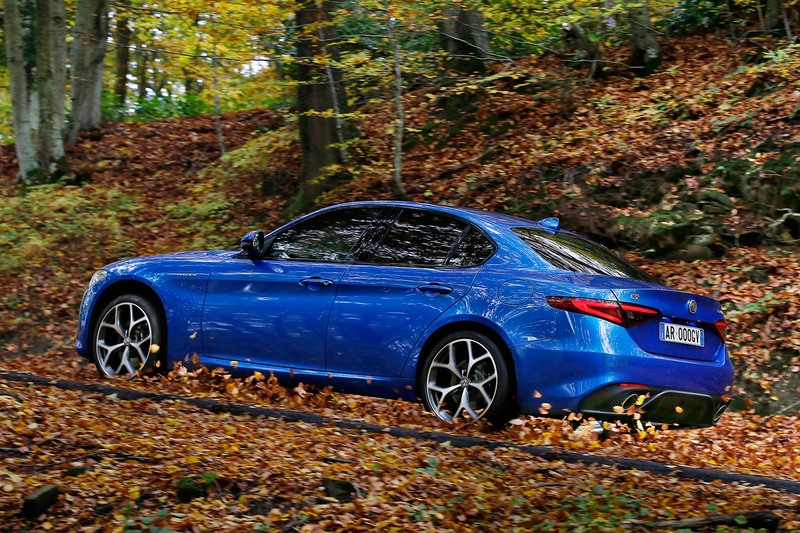 But as an overall package the Giulia is more than good enough to satisfy both heart and head. More so thanks to a bit more power and some extra choice in the range. Alfa Romeo’s resurgence continues apace. Shame aboutck of an estate version. 141 g/km is not far off my 115hp diesel SUV but 5.7 to 100 km/h is really supercar quick, with an auto and AWD. Shame about the lack of an estate version. 141 g/km is not far off my 115hp diesel SUV but 5.7 to 100 km/h is really supercar quick, with an auto and AWD. From certain angles it looks like.........a 3 series M-Sport,maybe it's the color....? No, youre right, theres lots of other cars in there too - its a mish mash of styling cues from different makers, so bland, so characterless - only the front bumper looks like its Alfa. Such a shame, soon as Alfa gets it right drivetrain wise, it gets it so wrong in the styling department. I like the Giulia very much but the standard petrol engine would probably meet my needs just as well and the car looks great even in standard form. Yes please. Nice car and if it was the companies money and I didn’t mind Automatic gearboxes I’d give it a go, otherwise as a private buyer my money would be my first ever BMW with a manual and X drive (if that’s possible). It really does look like a nice car. Needs that third pedal, and diy gearchange option over here too.